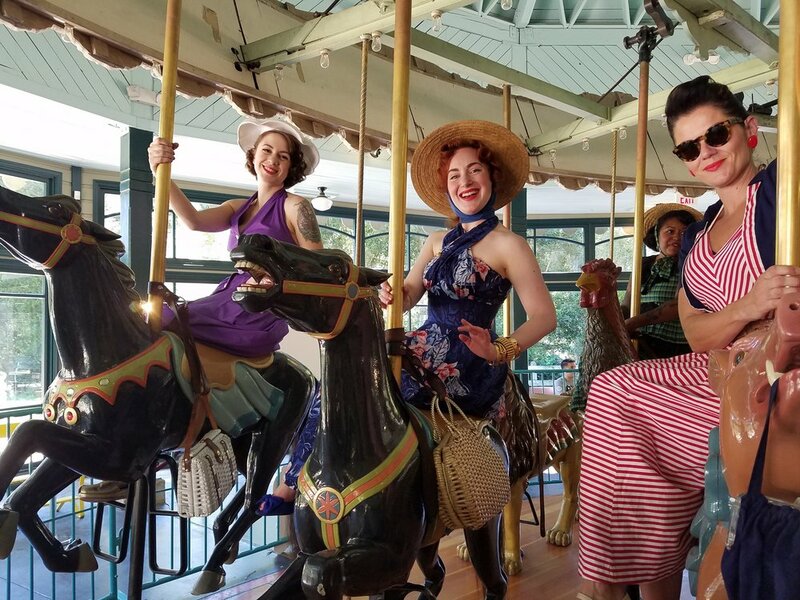 In our largest gathering yet, the ladies of VSC got together on a sunny and HOT Sunday at Tilden Park to picnic and ride the magnificent carousel. 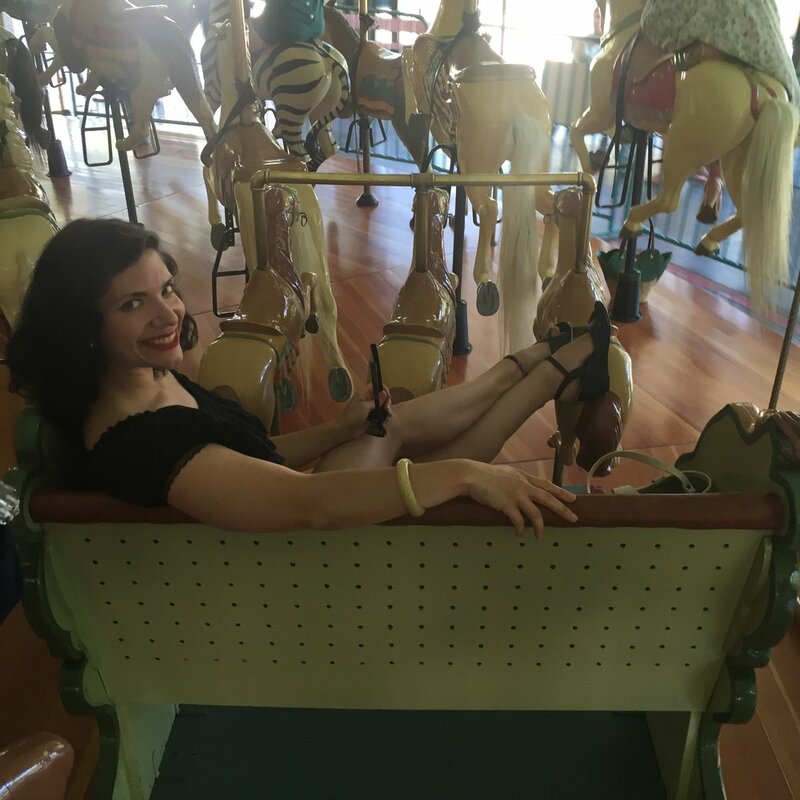 Built in 1911 by the Herschell-Spillman Company, this carousel traveled to amusement parks all over California before landing in Tilden Park and becoming listed on the National Register of Historic Places. It was restored in the 1970s and again in 2008. 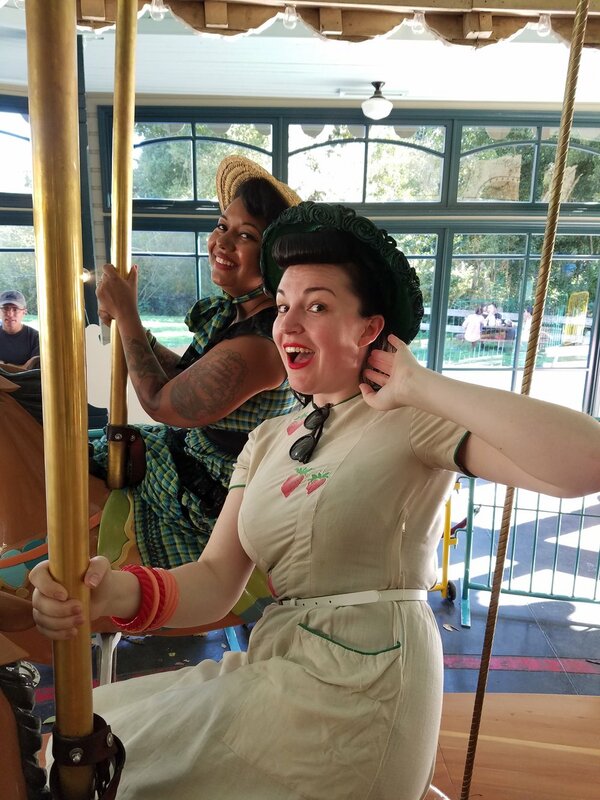 Aren't we lucky to be able to enjoy it century later!